Wallpaper is back! Make it easy with our tips on application. 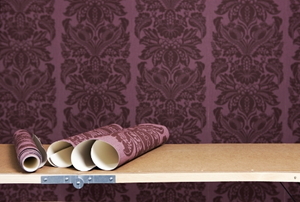 Making your wallpaper work look professional is doable, but it's not just a cut and paste job. 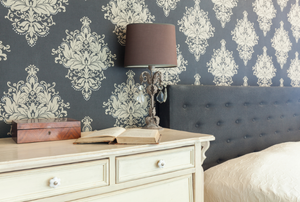 Covering Old Wallpaper: To Strip or Not to Strip? 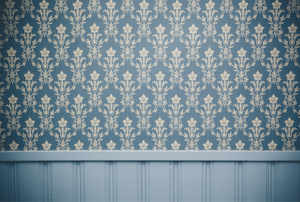 If you've grown tired of that unsightly, outdated wallpaper, this weekend is the perfect time to cover it. Don't let the idea of wallpapering intimidate you, even if you're a beginner. 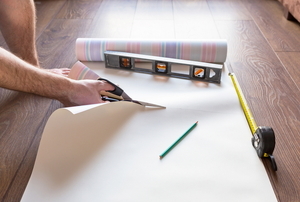 Check out these tips for making your wallpapering job easy. 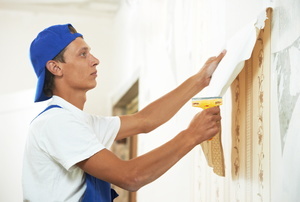 Applying wallpaper is easy, but there is a bit of a learning curve. 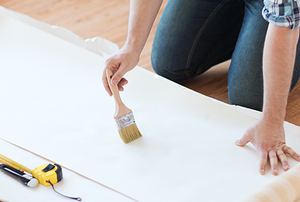 In order to properly install wallpaper to outside corners, you'll need to watch the amount of water you use and cut accurately. Wallpaper has been around forever, but now there is finally a way to put the glue onto the wall instead of each sheet of wallpaper. 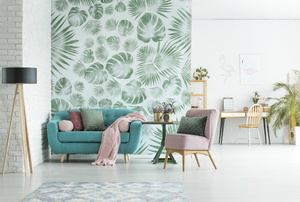 Knowing where to start hanging wallpaper can be tricky. Hanging new wallpaper is quite a straightforward task and will freshen up any room. 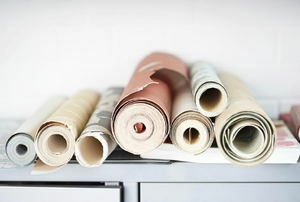 Vinyl wallpaper withstands moisture and temperature changes better than other materials. Install it with these tips and tricks. 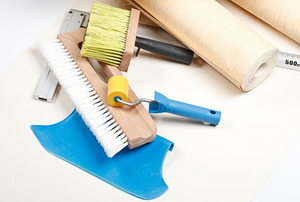 As with any home, you will find that one day you or your spouse will make the decision to install wallpaper. 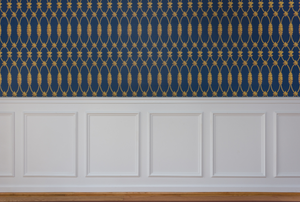 Removable wallpaper is quickly becoming a very popular material for many homeowners and renters to use. Wallpaper Techniques- Wallpaper Application - Wallpaper Removal Q. Recently, we had a room wall papered.